Shorthanded on the road, facing a run of four straight goals against, the San Diego Sockers found themselves in a 6-6 tie late in the fourth quarter on Thursday night at the Citizens Business Bank Arena. Enter Captain Fantastic Kraig Chiles found Eduardo Velez on a pass down the middle for the go-ahead goal with 3:29 in the match, assisting on back-to-back goals in the final four minutes as the Sockers scored four unanswered goals, posting a 10-6 victory over the Ontario Fury. 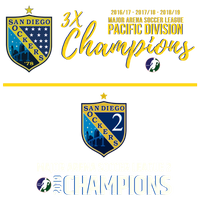 San Diego (21-1) clinched no worse than a tie for the best record in the MASL, while running the club’s winning streak to nineteen straight. The Sockers finish their regular season road schedule a perfect 12-0. Already without defender Guerrero Pino and midfielders Hiram “Pollo” Ruiz and Brian Farber for the match, the Sockers lost the services of Luis “Pee Wee” Ortega five minutes into the contest with a hamstring strain, and saw the shifts of Taylor Bond and Landon Donovan also limited due to injury concerns. 40-year-old Ze Roberto (two assists) was moved to the midfield to play alternating shifts as San Diego was forced to play with only eleven field players down the stretch. Goalkeeper Boris Pardo hit the 20-win mark, improving his season record to 20-1 with a ten save performance. 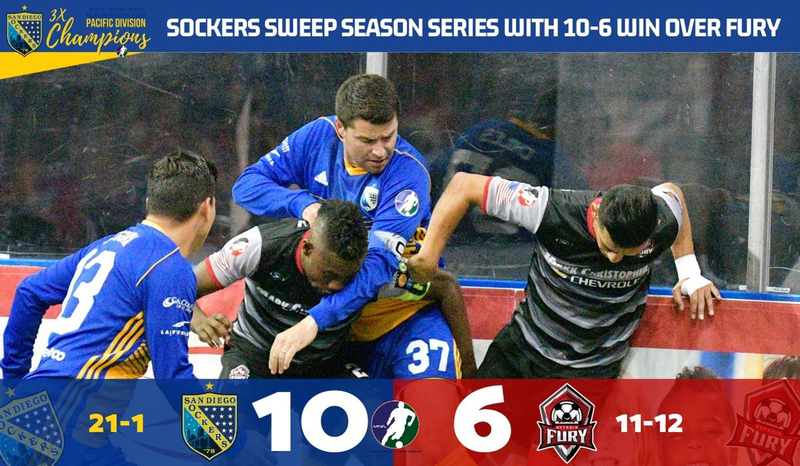 The Fury (11-12) fell to 0-6 against the Sockers this season, despite a hat trick from former US Men’s National Team star Jermaine Jones, who has seven goals in his last two matches. Jones’ smash under the crossbar with 0.1 seconds remaining on the first quarter clock gave Ontario a 1-0 lead after fifteen minutes. Operating on the power play after Ontario’s Thiago Goncalves was called for tripping early in the second quarter, Leonardo de Oliveira (goal and assist) spotted Brandon Escoto on the far post for a tap-in goal at 1:40 to tie the match at 1-1. With just over five minutes left in the half, Chiles’ blast from outside the yellow line deflected off the head of Fury defender Victor Quiroz and over goalkeeper Chris Toth for his team-leading 29th goal of the season and a 2-1 lead at 9:56. A give-and-go between Roberto and Cesar Cerda netted the 3-1 advantage with 2:15 to play in the quarter, and San Diego took a two-goal lead into the halftime locker room. Jones’ strike from high left wing 1:08 into the third quarter drew the Fury within a goal, but Leo was quick to answer, accepting a pass from Roberto inside the box before turning for his 15th goal of the season, a low ball past Toth’s outstretched arm. Just fifteen seconds later, San Diego defender Christian Gutierrez spotted Toth well off his line and arced a long shot from his defensive yellow line. The well-paced ball sailed over the lunging Toth and into the net for a stunning goal at 5:20 of the third quarter, and Gutierrez was mobbed by his teammates to celebrate the quality of the score. The Sockers saw Ontario collect two blue cards on the night, and converted both power play opportunities into goals. Donovan found Christian Segura (inserted into the power play lineup due to Peewee’s injury) alone at the top of the box for a right-footed corner shot and a 6-2 lead with 3:53 remaining in the third quarter. After starting the season 8-for-32 on the power play (25%), the Sockers with Donovan have scored on 12-for-21 chances (57%). San Diego went 7-for-7 on the man advantage during their four-match road trip. In front of a season-best crowd of 4,944, bolstered by many members of the LAFC supporters section in the stands, the Fury mounted a comeback worthy of their name across the third and fourth quarters. Evan McNeley scored a restart goal and assisted on two other tallies, with Jones’ hat trick score in-between. Maicon de Abreu’s sharp-angle shot from the low right corner eluded Pardo for the 6-6 equalizer at 10:18. Two brilliant goals would push the Sockers in front for good. First, Chiles found the overlapping run of veteran Eduardo Velez, who anticipated Toth going low and sent the ball high into the net for his fifth goal of the season, breaking the tie at 11:31. Then, midfielder Travis Pittman used a clever flick of the outside of his right foot, lifting the ball over the shoulder of his defender and racing in on Toth, before using the left foot for a rocket into the upper left corner at 12:47 to all but seal the affair. Gonzalez and Cerda found the empty net behind Toth late as the keeper crossed midfield to join the attack. San Diego has two days to recover before a Sunday match at home against the Rio Grande Valley Barracudas, a 5:05 p.m. kickoff. A win would clinch home-field advantage throughout the Ron Newman Cup playoffs. 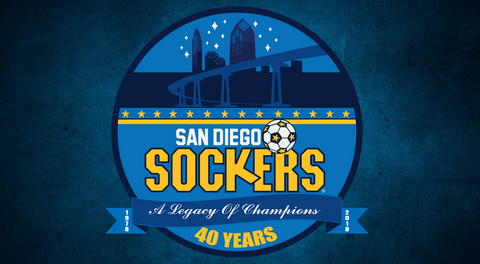 Legendary midfielder Paul Wright will see his number three retired in a pre-match ceremony, and Sockers alumni from the past three decades will meet in the annual Alumni Game at halftime, featuring players from the ‘80s and ‘90s against players from the ‘00s. 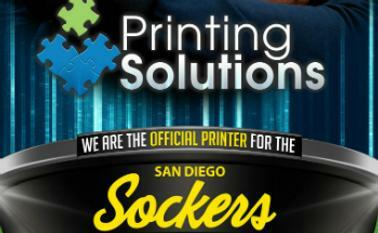 Tickets are available by calling 866-799-4625 or Sockers.com.